Firefox Tours is Bhutanese tour operator and destination management company (DMC) focused on personally tailored trips for groups and individual travelers. Bhutan is country we love and we will make you love it too! We love our work which is to make you happy! We are registered with Tourism Council of Bhutan, which entitles us to provide all tourism related services to individual travelers and foreign travel operators alike. We are also members of Association of Bhutanese Tour Operators. We also joined Royal Society for Protection of Nature as the responsibility to natural environment of Bhutan and the whole World is one of our core values. Dawa Dorji Tamang is from Gelephu in southern Bhutan and works in tourism as guide since 2005. Since 2013 he was managing Druk Peacuful Tours & Treks travel agency. Now he is general manager of Firefox Tours responsible for all ground operations, tour arrangements and bookings. Dawa graduated from Sikkim Manipal University as Bachelor of Business Administration. Michal Thoma comes from Prague, Czech Republic. In 2003 he got enchanted with Himalayas. Since then he was traveling to the region as a photographer, travel writer and tour leader for renowned Czech travel agency Livingstone. Over the years he traveled to Bhutan uncountable times. In Firefox Tours he is responsible for marketing, pricing and communication. Michal holds Master degree in Culturology from Charles University in Prague. 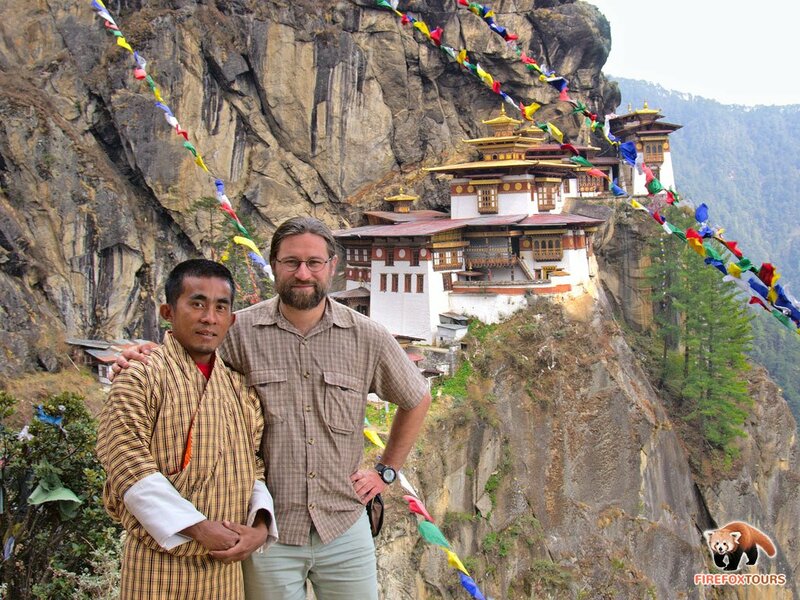 Guest feedbacks - Take a look what our clients write about their experiences with us in Bhutan. What is Firefox?- What is the Firefox and why we're named after that?